The Club Veterinary Surgeon examined Inga Ross and no illness was detected. 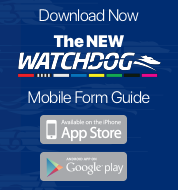 The greyhound was a late scratching at 4:28pm due to weight variation (GAR 39). A 10 day stand down period was imposed. Trainer, Mr. P. Inguanti was fined the sum of $100. But What For was slow to begin. Fish Armo was vetted following the event. It was reported that there was no apparent injury found. Stewards opened an inquiry into circumstances surrounding the withdrawals of Watching You (V Tullio), Bula Bang Bang (V Tullio) and Awesome Catch (J Magri) from this event due to illness. Initial evidence was taken from Registered Trainers Mr Vince Tullio, Mr John Magri and Mrs Michelle Malia-Magri via telephone. 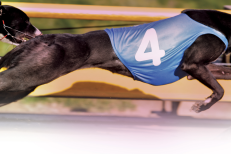 Acting under the provisions of GAR 20 (v), Mr Tullio and Mr Magri were directed to produce a veterinary certificate of fitness for their respective greyhounds, prior to any further nominations being accepted. The inquiry was adjourned to a date to be fixed to afford Stewards the opportunity to examine betting records and make further inquiries.